I hear it all the time, but it never fails to blow me away. A small business owner who hardly uses the phone is paying $600/month on their phone bill. They probably even signed a 3 year contract for the privilege of paying the exorbitant pricing. Those that refused to pay, may have found themselves spending countless hours searching on google. "voip reviews", "skype vs gizmo", "virtual pbx", "business phone system." Its time to find something better and end the hunt. First, lets make some assumptions. You are a small business owner with 5 employees who need phone service. You want a flexible, crystal clear and easy to use phone system for your office. You want it to work the same whether you or your employees are in the office or on the other side of the planet - so digital phones are the way to go, and the way of the future. Most of all... you HATE contracts, and you hate getting screwed by your phone company. Skype, by fare the cheapest for phone rates alone, but with several large drawbacks. their proprietary system only works with other skype users. you can only message other skype users and only get free calls to other skype users. and even though you only pay $2.95/month for regular call out phone service, the pbx will cost you much more. For a virtual pbx with on-state.com, service runs $38/mo PER AGENT. So if you have 5 employees, you now have $2.95 + $190 for basic office functionality! On a side note, the fact that skype is owned by Ebay troubling. You can't port your numbers out in the future, so if Ebay later decides to gouge Skype users, alot of people may find that trusting a company owned by Ebay wasn't such a great idea. Vonage and many other voip providers may look like a deal at first glance. It is possible that the Vonage unlimited business plan may work for some. If you use alot of minutes and don't want much flexibility on your system, they may work for you. But, usually there's a catch, a missing feature, or at least - some sneaky hidden fees. In particular, something like vonage will not scale if your company grows, or your use changes. A search for voip providers almost always yields the same garbage. Misleading sales tactics, lots of hidden charges, contracts, poor service, 100% frustrating experience. Lets not even go into the sunrocket scandal. Packet8, is definitely a player in the industry. They have most of the features you may want, but then there's the lovely 2 year contract. Did you read the contract? Its 20 pages...LITERALLY. And yes it is packed full of some wonderful fees for the privilege of using their service. Speaking of fees, lets take a look at the cost. For a basic system for your five employees, you can expect to pay $24.99/month per extension, plus auto attendant $14.99/mo, plus overage 2.9 cents/minute. $139.90 for two years minimum. This assumes each of your agents only use their allotted 200 minutes. Assuming you the phones at all, you can expect $50 more in connection fees each month. Don't forget that there will be excise fees, federal fee, cost recovery fee, 911 fee, and plenty more I'm sure. $200/month is likely. Oh, did i mention that setup will cost another $200+? Ring central. They used to offer very clear, clean cut pricing. Now it is a total mess, and I'm not sure anyone really understands what they will need to shell out to use the system. Lets take a stab at it. Their basic plan only includes 500 minutes, so we'll just skip it. The "Business Power" plan is $49.99/mo and 4.8 cents per minute after 1000 minutes INCOMING. The trouble here is that they seem to assume you will forward your calls to another number, so they over bill for incoming calls at 4.8 cents per minute. You will also need to be able to place calls out, so you can opt for their Digital line unlimited for $24.99. But, ring central does have some nice perks. They include a toll free or local number at no charge. they also include a fax line at no charge. The system is fairly intuitive and robust, with lots of nice to have features. After all's said and done, you would pay around $75/month plus overages. Assuming your office averages 2 hours a day of calls, this could add up to $100+ a month in overages. Definitely worth a look for some with lower call volume, but getting expensive at over $100/month for businesses with a moderate call volume. 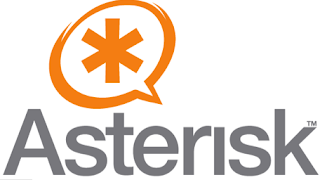 Asterisk, Trixbox, Freeswitch, and the like. Certainly the most flexible and low cost option. However, learning to build, operate, and maintain such a system is next to impossible for most. There is a ton to learn, and the only place you will find help is by spending countless hours searching online. Further, since your system is not hosted, it is vulnerable to power and internet outages that may affect your location...bringing the whole system down. Certainly not a good thing for a business. Having used these systems for several years, I definitely wished there was another way. If you do choose this route, a good option is to purchase your phone number(s) with a wholesale origination and termination provider. You will also need to buy digital phones or softphones. Express talk is an excellent, free, softphone that includes call transfer. For businesses, a phone without transfer is next to useless! You can expect to pay around $2-$10/month per phone number and 2 cents per minute. Onsip.com is a hosted sip pbx and may be the next big deal for phone system. Remember, hosted means it is reliable and you don't have to manage it. SIP is an open protocol that allows you to really expand on their platform. And PBX is the system that historically costs big companies hundreds of thousands to buy. But that still doesn't cover onsip. First, they let you try out the system free. No credit cards, no extensive questionnaire. Just create a login, and you can see exactly how the system works. Despite having never seen the system before, I was able to fully create a basic office setup in a matter of an hour or so of playing with the system. Better than that, there are no per-seat or per-extension fees. You could have an office of 500 sales agents and your base cost could still be $0. The system has many features that you will want, but still has a bit further to go to become perfect. They offer the option to buy services a-la-carte, or in convenient packages. Their SoHo package is an excellent plan for a small business. You pay $39.95/month for your pbx and 2.9 cents per minute. This should have you completely covered. Unfortunately, they charge for incoming calls which was disappointing...but with some creative tweaks, we can get around that! since onsip is entirely sip based, you can purchase your phone number (DID) anywhere and have it forward to your onsip address. One such company is voicenetwork.ca who offers flat rate DID for $3.95. So if you use say 2000 minutes a month, and half are incoming, your total cost with onsip would be $39.95SoHo + $3.95DID + $29connectiontime = $72.90. If you really wanted to cut back, you could opt for their a-la-carte plan and reduce your $39.95 to $10 or $20 per month. How about that. What could easily cost $600 or $200 a month elsewhere, you can get for around $50/month - over 90% savings! Of course, onsip isn't perfect yet. Maybe I'm dreaming, but I still believe 2.9 cents is too high. It isn't hard to find an origination provider that will charge less than 1.8 cents per minute. That is an extra $10/month for every 1000 minutes. For those who are on the phone alot, or are just starting out, cost per minute is a certainly factor. There should be no charge for incoming minutes. Obviously this is straight profit, but I'm sure onsip would receive exponentially more benefit and publicity by offering the service free. We all love our unlimited plans. Frankly I have no idea how skype offers unlimited (10,000 minutes) for $2.95/mo (3/100ths of a cent per minutes). It would be fantastic if onsip offered an aggressive unlimited plan. There are still some features that need to be added to make the system sound like a million bucks to callers. Want the lowest cost possible? Suppose you didn't care so much about the pbx, but simply wanted absolutely rock bottom prices. Bundle voicenetwork.ca with gizmo5. Purchase your DID (phone number) from voicenetwork, or port your current number. Remember, you can't transfer numbers in or out of gizmo. By purchasing with voicenetwork you will pay roughly the same price ($3.95), but you won't be locked in. You can set voicenetwork to ring your gizmo account or any other device you may choose later on. Then you can purchase outgoing caller id with gizmo for $4 per year ($.33 per month). 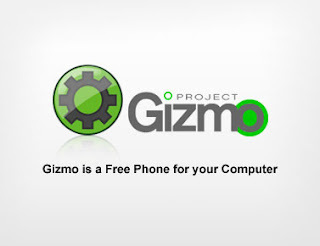 Your outgoing calls will be billed at Gizmo's low rate of 1.8 cents per minute. With this setup, you can use any number you wish, and your monthly cost is only $4.28 plus usage. Most importantly, you still have the freedom to keep your number or direct it elsewhere if your situation changes in the future! I am definitely a fan of pay as you go systems, assuming the provider is not price gouging. The problem with monthly plans is that you always lose. If you go over, there are hefty overage fees. If you go under, then you paid for service that you didn't use. With onsip, you don't have to do any of those calculations, you don't have to check and make sure you are on the best plan, you pay for what you use...simple as that. Unlimited plans are great, but usually high priced. A typical $40/month business plan common to many voip providers would require you to have over 2,222 minutes OUTGOING each month just to match 1.8 cents per minute. And in all likelihood, they cap their unlimited plan at a slightly higher number; meaning it is very unlikely you will save any money at all! Even worse, many require you to purchase an account for each user, which utterly destroys any chance of a good value. It seemed like it might never happen. Countless hours of research sweat and tears. Well, perhaps no sweat...or tears. But its finally here! 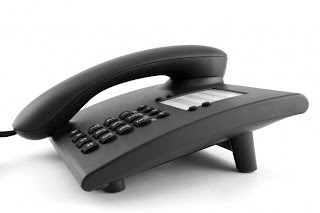 Movingto voip is now very much a viable option for many businesses. Goodbye old phone company, hello digital! Sorry you believe what I posted is SPAM. It was pure information for your readers who may be interested in an Asterisk-based IP PBX that needs no technical skills. Well written article, but I can not understand why people devote so much time and effort in PBX, for me it is an old technology. Therefore only to INFORM I recommend this link www.gohello.com/12b3 . This platform is much cheaper, easier to use and more efficient than any PBX based system. I saw Your comment about spam, and this is purely not a SPAM. Just one company I thoguth You forgot in your report. Nice Blog byt hte way! My research also showed Skype to be the best quality VoIP service and the best rates. Some drawbacks to Skype is the lack of features for business like the Automated Attendant with the greeting and call routing, transferring calls, Music On Hold, simultaneous call handling and routing and other fairly basic stuff that PBX/Phone Systems take care of. To overcome this there are the Actiontec VoSKY Exchange Skype Gateways that connect your PBX/Phone System phones to SKYPE. By doing this you are able to VoIP your PBX/Phone System and take advantage of Skype's low rates and take advantage of the sophisticated features of a PBX/Phone system. A Skype subscription for the US & Canada is only $23.60/yr - that's only $1.97/month per line!! Also good is you have back up options. You can keep a few lines from your Telco provider or even Vonage or other like VoIP providers where your main advertised phone numbers can be ported over to. So if you have some Telco lines and your power goes out or your internet goes out you still have a few lines on your PBX/Phone system that work and most of the time when the internet is up you can utilize low Skype rates for your outbound calling. You can also get a Skype In Number for only $24/yr - $2/month. It's a good combination of old and new technology and it is tested tried and true by using the proven PBX's unlike many of the VoIP services and PBX's on the market place. For more information and pricing go to www.SkypeMyPbx.com. Thanks for the great review of OnSIP. Yes, we do charge inbound calls. But, it's a reality of Pay-as-you go. We recently published a blog post regarding our $18 average cost per user after the CEO of Packet8 published some invalid pricing info about OnSIP. On average, it is REALLY cheap! I am also happy to say, in the next few months, we will be adding instant messaging, Microsoft Outlook integration and possibly some new lower rates! On-State solutions are some of the worst virtual PBX/ACD systems on the market. I have been with the company for two months now, and in that two months I have experienced two severe outages, one of which is ongoing for more than 24 hours. One of the outages was caused because someone accidentally unplugged a network cable. My longest outage is more than 24 hours. Aside from their outages, their web site control panel is extremely buggy and technical support is terrible. Do not bother with premium support - its certainly not premium. Additionally, some features do not work unless they manually do it on their side (like adding audio) and others do not work as intended. Additionally, the voice quality is terrible; especially as it applies to the quality of the recorded audio which plays through the PBX - when comparing other solution providers, there is a severe quality difference. Just call On-State for yourself and listen to their own recordings which blast your ear off and are distorted and have digital artifacts from poor encoding. If you want a virtual PBX/ACD for your business, do not use On-State as your solution provider. You will regret your decision and experience downtime, as well as a lack of support. Jeremy, I want to first of all thank you for your use of OnState's products. Your continuing use of our products is a vote of confidence that we're headed in the right direction. Secondly, thank you also for your feedback regarding OnState's PBX and ACD solutions. A big part of what keeps us headed in the right direction is our constant solicitation and welcoming of feedback from our users. We base our product upgrades primarily this feedback while also balancing the strategic needs of the company. The easiest way for our customers to provide feedback or suggested enhancements is through our blog at http://www.on-state.com/blog/?p=247, but we absolutely welcome calls, emails, and chats that you can access through our website. As you know from our recent conversation, we pride ourselves on our customer service and the quality and ease-of-use of our products. In our efforts to continually provide the best service possible in these areas, we have taken your feedback into account and modified our support processes and procedures based on the feedback you provided. We hope your next OnState experience proves this to you. Finally, I would encourage anyone who is interested to test our OnState's products for themselves and make an informed determination about its respective usefulness to your business. Anyone who would like to give our product a try can visit http://www.on-state.com/contact.html to request a free 14-day trial. If you take us up on this offer, we would greatly appreciate your candid assessment of the product. Hosted PBX systems are perfect for companies who are struggling to keep up with an overwhelming amount of growth. To get started with the set up process, use these easy tips and get the phones connected in no time. Comprehensive post, I wonder which among them is the best VOIP system.